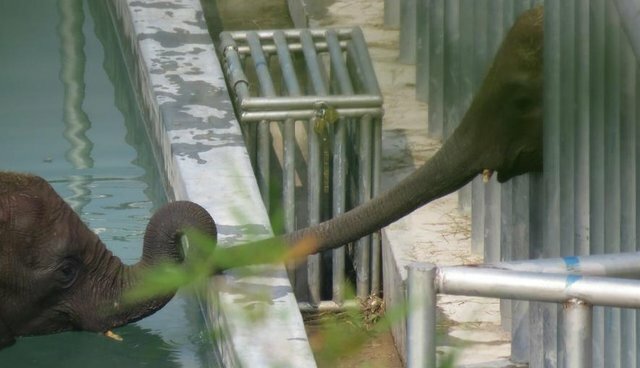 Zimbabwe has captured dozens of baby elephants from the wild over the past year, ripping them away from their mothers and families and selling them to China for display in zoos and other attractions. Recent photos from National Geographic show just how terrible their new lives are. Unfortunately, Zimbabwe's controversial elephant export isn't new - another group of elephants was sold to China in 2012. 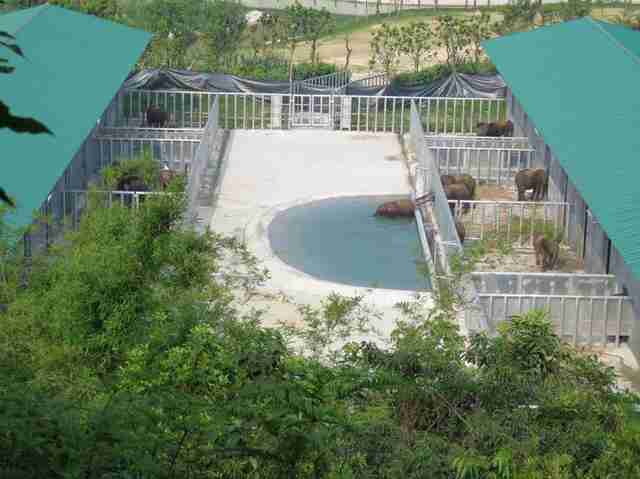 The babies, who are usually just a few years old when they're taken, are drugged during the journey. Once they arrive, they face bleak, lonely lives in empty cells, cut off from relatives and rarely receiving the care they need. The new photos, which were taken secretly at a Chinese quarantine facility, show that the most recent "shipment" of babies was no exception. Joyce Poole, co-founder of Kenya-based advocacy group Elephant Voices, told National Geographic that the photos show the latest babies with a number of injuries. Poole says the elephants - many as young as four - have protruding cheekbones, lackluster skin, a mottled complexion - which signifies poor condition - and abrasions. She speculates that the wounds may have been inflicted by people, or by infighting among the elephants, or during their journey from Zimbabwe to China. Or indeed by a combination of all three. 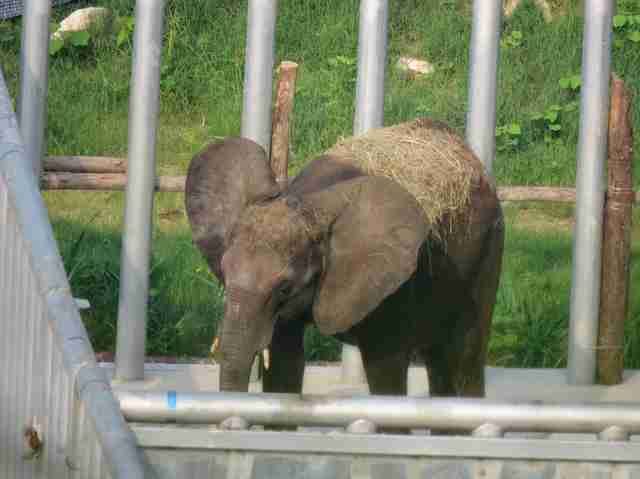 The baby elephants are currently living in concrete enclosures and are visibly emaciated. Their current homes are a far cry from the miles-wide territory they'd enjoy in the wild. They're cut off from family and friends. Here, a female calf's sunken cheeks show obvious malnourishment, according to National Geographic. She also has wounds on her side. Unfortunately, the lives of these little babies will only get worse. 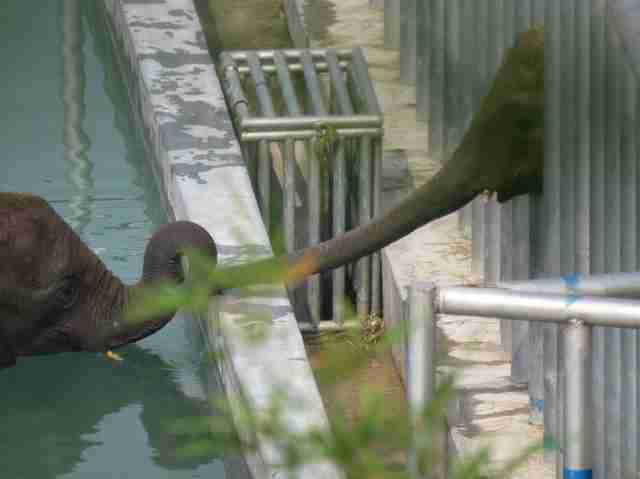 Of eight baby elephants that Zimbabwe sold to China in 2012, only one was thought to be alive as of last December. 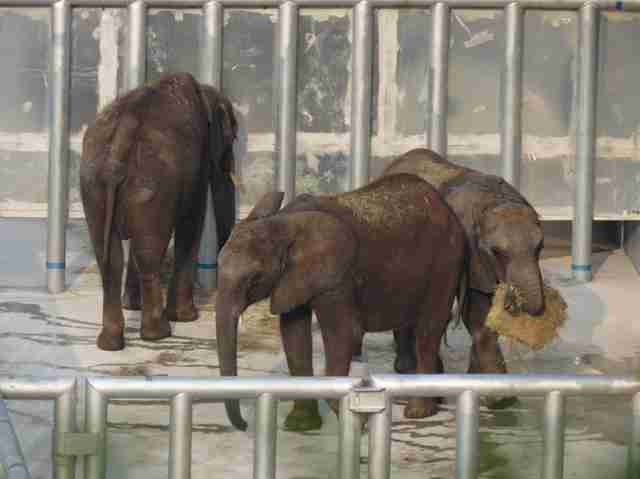 Though these little ones are locked up, there are many other baby elephants that could use our help. Click here to donate to the David Sheldrick Wildlife Trust, a Kenya-based wildlife group that runs an orphanage for baby elephants and rhinos. Visit National Geographic for more photos.